FREE Rental Turnover Cleaning Estimates! 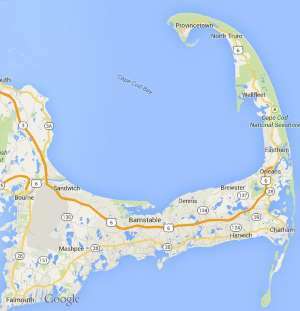 Cape Cod Cleaning » Rental Turnover Cleaning » Regularly scheduled (usually weekly) cleaning of rental property. Free estimates from local Cape Cod rental turnover cleaning companies. Get quotes on your rental turnover cleaning project in Barnstable, Brewster, Bourne, Chatham, Dennis, Eastham, Falmouth, Harwich, Mashpee, Orleans, Provincetown, Sandwich, Truro, Wellfleet or Yarmouth, MA. Regularly scheduled (usually weekly) cleaning of rental property. Hi, I have a signed offer to purchase a home in Dennis MA. I plan to rent this house seasonally (July and August) and would like an estimate of the cost to do rental turnover cleanings. Could you please give me a ballpark estimate to clean a 1400sf, 3 bed, 2 bath home. The home has a small screened in porch as well. The cleaning would need to be conducted between 10AM and 2pm. Thank you! Looking for summer weekly rental turnover cleaning.